Tyrion will be facing a 3rd trial as a consequence of saving thousands of lives. III. Tyrion will end up in a position of power - most likely Hand of the Queen for Daenerys. IV. Greyscale is heading towards Westeros through Jon Connington. If greyscale will start to spread, it will most likely spread because of him. 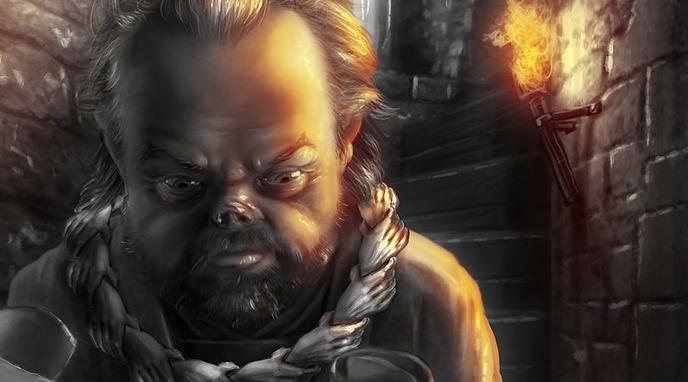 V. Tyrion associates greyscale and stone men with his father throughout ADwD, as well as dreams of the disease. VI. Tyrion will contain the greyscale eruption to one city, but will be judged guilty for it and be put on trial for a 3rd time. I. A Song of Ice and Fire is known for its usage of numerical symbolism - especially 3 and 7 - which suggests that Tyrion may be faced with a 3rd trial by combat in the future. II. Tyrion and Jaime’s stories have been connected for a long time, ever since the books started. In ASoS they have faced several hardships, and how they have responded to these hardships has shaped their characters. (see Pros side first),Tyrion's actions in saving a city from disease might be seen differently compared to Lord Hightower's actions and others may recognize his efforts of containing the disease. GRRM may decide to go against his own repeated usage of the 3's and 7's in his work when it comes to Tyrion's story and discount any potential 3rd trial by combat for Tyrion to happen. Tyrion may be judged a 3rd time based on a regular trial rather than a trial by combat. Tyrion would still be subject to 3 trials, yet one of them would be different than the other two. Should All Drug Trial Participants Be Chosen By Lottery? Is Daenerys Targaryen the Prince/Princess that was Promised?